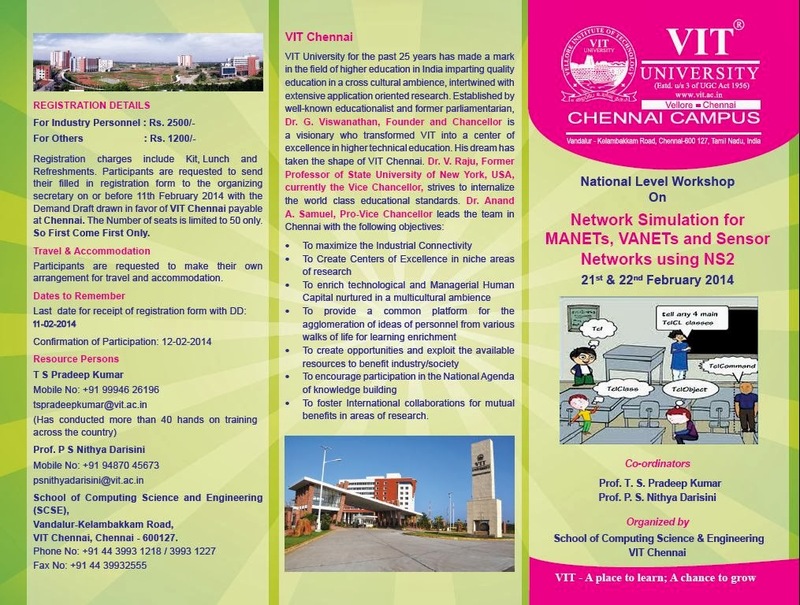 Workshop on NS2 for MANETs, VANETs and Sensor Networks is planned at VIT Chennai Campus on 21st and 22nd February 2014. 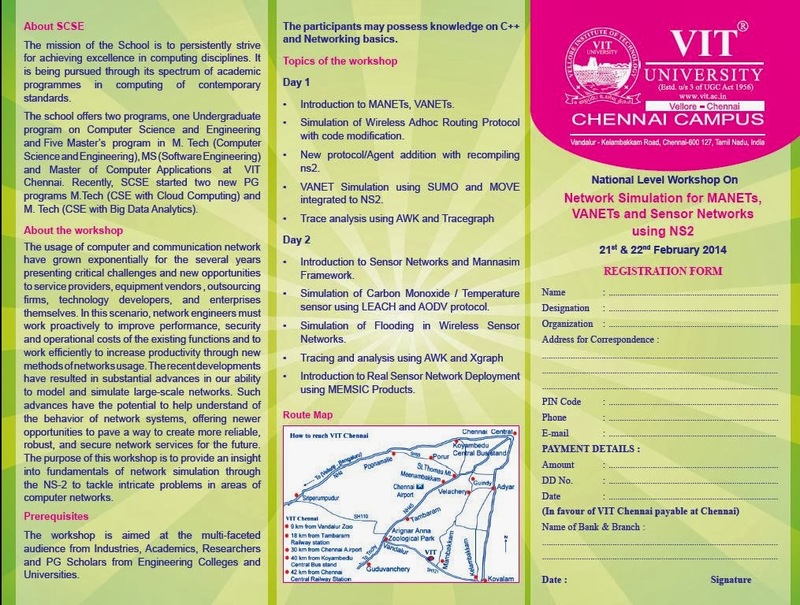 This workshop will be beneficial for Under Graduates, Post Graduates and Research Scholars for Various universities across India. 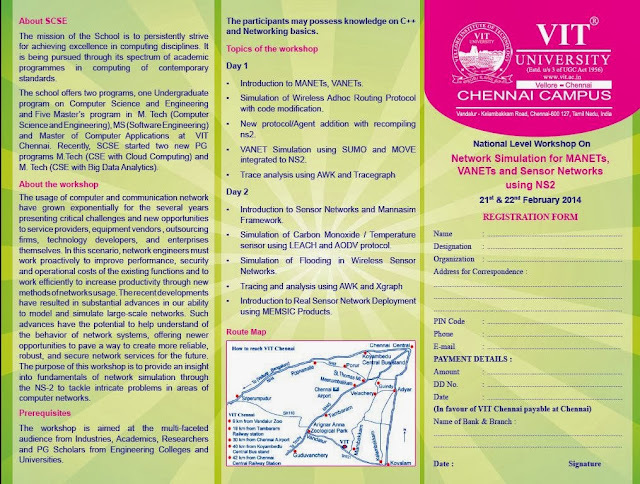 Those who want to enrol for the workshop, click the following link and take a printout and send it across.